Bill Clinton believes HIS ARKANSAS HISTORY is the state's ONLY history... worth saving. Some people have no interest in anything "OLD"...whether it's OLD buildings, cars, furniture, towns, jewelry, books, animals, or...people. But...many-more realize the value of OLD...knowing that age increases the value of so-many rare and one-of-a-kind items. And, preserving our priceless history (which is another word for "old") should be everyone's priority. 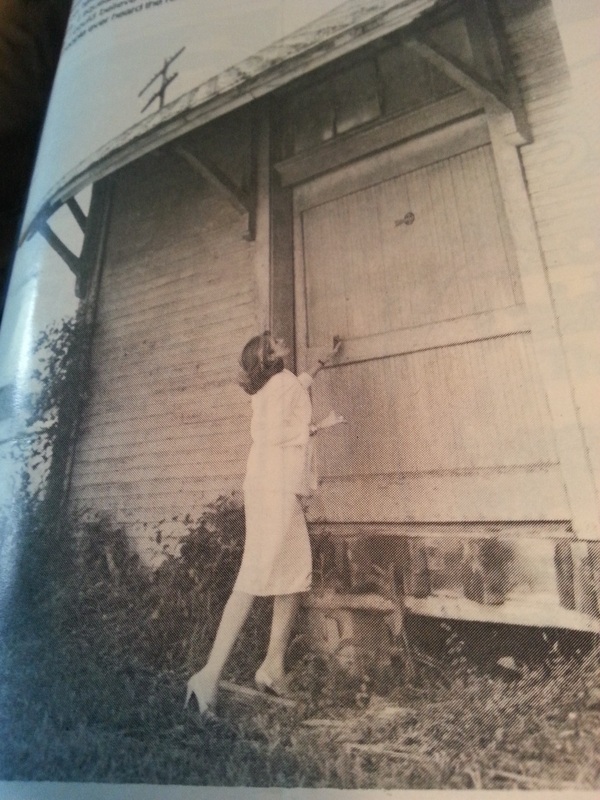 In this photo from 1983, I'm admiring an original train depot, located in Bearden, Arkansas. It was one of the many items of Railroad Memorabilia I hoped to save by creating an Arkansas Railroad Museum. Searching the state, I found OLD passenger cars, OLD cabooses, OLD train depots, even OLD steam engines---all in need of preserving, restoring, saving....and all valuable pieces of Arkansas's History. With great excitement, I presented my carefully researched plan-- including funding for the project--to Arkansas's Governor Bill Clinton and was told he'd "think about it." Of course, considering the fact that--at the time--- I was running for Mayor of Pine Bluff on the Republican Ticket....I should have known Bill wasn't going to waste ANY time on anything that would cast me in a positive light. Bill knew my very-personal history with the Cotton Belt Railroad; Bill knew I'd successfully moved the 819 Steam Engine out of a Pine Bluff Park and arranged for its restoration and... we both knew--too well-- that Bill had all the power. Thirty-five years later...most of Arkansas's OLD railroad relics have disappeared, been demolished, and are now lost-forever....because politicians like Bill... are notorious for having no vision for anything....other than themselves. Thanks to Bill Clinton, Arkansas will never have a state rail historical museum. I will always remember OLD Arkansas, especially its Railroad Era. And, I will always mourn the loss of the railroad memorabilia I'd earmarked to save, which included hand-crafted buildings, steam engines, photos, and valuable one-of-a-kind passenger cars and cabooses...all valuable history. Thanks to a self-centered and arrogant Governor-- with no regards or respect for history--Arkansas's tourist trade will never have the opportunity to experience Arkansas's valuable railroad history. Instead, visitors to Arkansas will land at the BILL AND HILLARY CLINTON AIRPORT(known-correctly- as the "Hillbilly" Airport) where they will be pressured to visit the Clinton Library... which (no exaggeration) looks exactly like a big OLD double-wide trailer. I find it insulting to assume anyone--YOUNG OR OLD-- wants to visit Arkansas to see a Trailer-Park-Museum.